Serverless: what's in a name? Recent posts from acloud.guru and @PaulDJohnston try to bring some reason to the discussion. The former points out that yes, everybody understands there are actually servers still executing things, and that serverless is about shifting the overhead of server management to a service provider. The latter believes that the anti-serverless sentiment has a lot to do with fear and insecurity. But that’s not the only thing. serverless also sets the wrong expectations. It suggests that “server concerns” such as resource contention, OS settings (e.g. tunable kernel values), and runtime environment configuration (e.g. jvm settings) are irrelevant. Do developers write code just as they always have, only now they don’t worry about how it runs? Of course not, but that’s what serverless suggests. Any informed developer will immediately understand that yes, there’s still an OS, and you’d better still understand how it abstracts the underlying physical resources. Still, with serverless, you have basically no control over the execution environment, and you’re restricted by the limits set by the provider. Don’t like how something is configured? Too bad, you’re stuck with it. Developers who use serverless exclusively live in a much smaller box and with a lot less freedom of expression than those with an open source OS at their disposal. Serverless: Nice Idea, Terrible Name from Kristian Glass expresses some of these same concerns. Most (all?) of this is now squarely in the domain of the developer. Tooling will help to address it (the most obvious current example being the well regarded Serverless framework), and I anticipate a healthy ecosystem of complementary and competing tools that make this easier over time. But we need to acknowledge that some of the same challenges have shifted in to new areas. Should you be worried about your future career if you’re a sys admin/DevOps/SRE? Absolutely not. 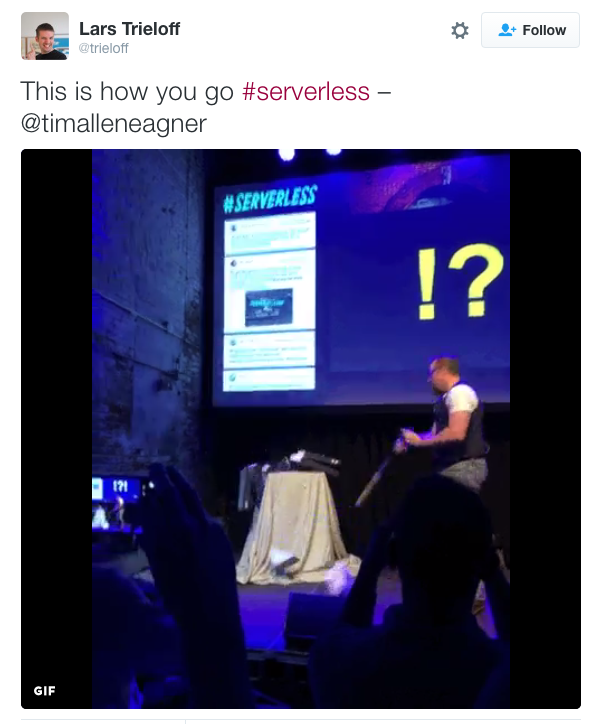 Think of serverless as another tool in the box. Cloud functions have joined the ranks of PaaS, containers, cloud instances, private VMs, and bare metal servers in running code to solve business problems. They’re extremely efficient and sensible in the right situation, and we should expect them to gain new features and improve over time. But servers aren’t going away any time soon, and today’s legacy applications and development patterns will be here for many years to come. If you’re afraid of the change that serverless brings, well, you’re in the wrong industry my friend. Love it, hate it, get used to it. Cloud functions are here to stay, and serverless is too.